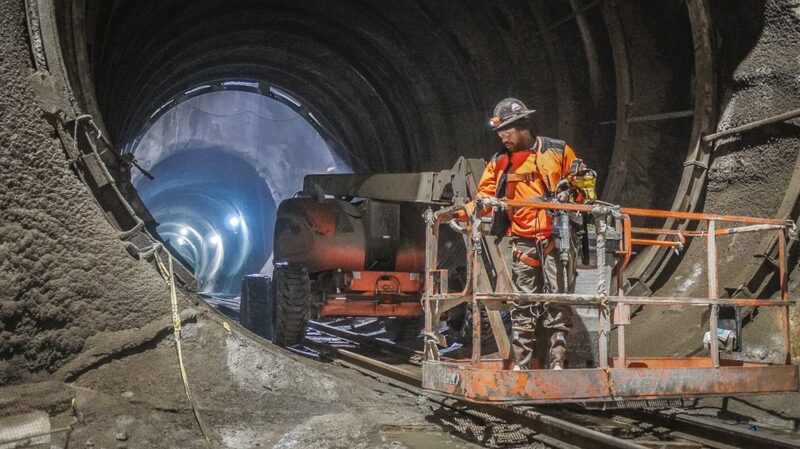 [New York, NY] – During the expansion of New York City’s Subway System, SSK Constructors deployed a series of DustBoss® units to suppress dust created while drilling and blasting. The 36+ month project, which ended up costing $15-20 billion, was completed in 2016 and opened to the public in early 2017. As one of New York's leading heavy construction firms, SSK understands the importance of meeting compliance regulations and that failing to do so can result in delays or potential downtime, which can be detrimental to meeting project deadlines. With that in mind, they enlisted the help of BossTek (formerly Dust Control Technology). 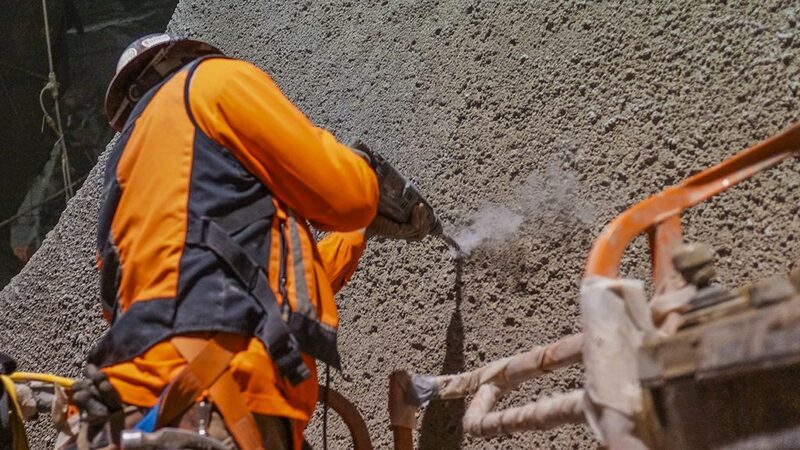 When drilling or blasting rock and concrete, OSHA requires that dust control measures (such as water suppression systems) be used to maintain dust levels within their permissible limits. Like most contractors, excavation crews had previously relied on manual spraying with fire hoses to keep dust down. The problem with this method is that it is extremely labor-intensive, often requiring multiple workers at a time. The SSK Project Coordinator, Frank Townsend, estimated that the annual cost per worker was $100,000; which means the company was spending as much as $1 million per year to manage fugitive dust. It was apparent that a more efficient and cost-effective solution was needed. After researching several options, SSK decided to initially purchase four DustBoss machines. Three of the machines were DB-60 cannons, which are powered by a 25 HP motor capable of throwing atomized mist more than 200 feet (approx. 60 meters). The fourth machine purchased was a DB-30, which is a smaller mobile unit that outperforms its size. 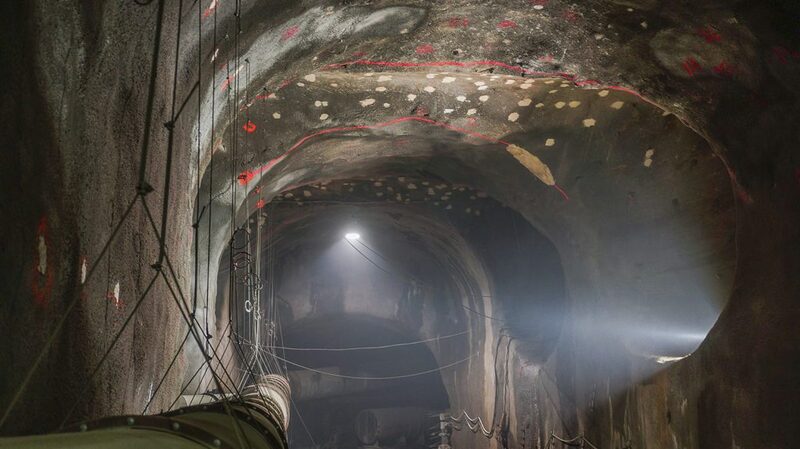 “The technique we’re using is drilling and blasting, which is an effective way to dislodge large volumes of material at a time,” commented SSK Project Coordinator Frank Townsend. “The potential drawback is that it creates dust and smoke, and since this is one of the busiest sections of the city, we knew we had to find an effective control method.” The misting cannons were strategically positioned to provide maximum suppression of airborne dust particles. 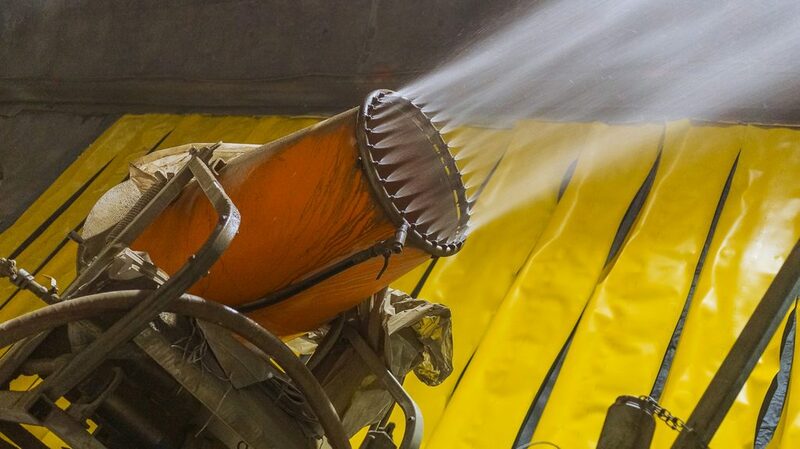 Mobile dust control not only allowed SSK to slash costs by eliminating the need for manual spraying, it also helped maintain air quality throughout the duration of the extensive project. The result of these efforts were a safer, more productive work environment and improved conditions for employees and the surrounding community. BossTek specializes in providing dust control solutions for a wide variety of industries and applications. Let us help you Develop A Dust Control Strategy that's right for your operation. Our team will work with you to ensure that your plan meets and exceeds compliance guidelines and the expectations of the surrounding community. This entry was posted in Blog, DB-30, DB-60, DustBoss, News. Bookmark the permalink. Both comments and trackbacks are currently closed.